Greenhouses are a great way to extend the growing season and protect tender plants from chilly weather. The windows intensify the light and make a unique micro-climate with toasty ambient air and bright light. You can build your own greenhouse from old windows. Window pane greenhouses are practically free if you collect old windows. The biggest expenditure is the wood for a frame. 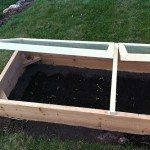 Learn how to build a greenhouse from recycled materials and astound yourself with the huge vegetables and lush plants you can grow even in cooler climates. A greenhouse is nothing more than a glass and wood or steel edifice that directs solar rays inside for a warm, protected and semi-controlled growing area. 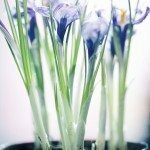 Greenhouses have been used for centuries to extend the growing season, jump start the spring planting and over winter tender and unique specimens. 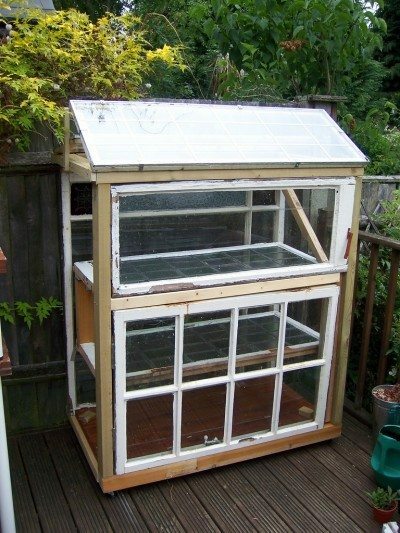 A greenhouse built with old windows is remarkably economical and is a great way to repurpose items. You can even furnish it with used or recycled benches or shelves, old planting containers and other materials scavenged from throw away piles. A professional greenhouse kit can cost thousands and a custom frame jumps up exponentially in cost. Aside from the obvious location, a dump, you can source window panes for free in a variety of places. Watch your neighborhood for remodeling projects and new additions. Often the windows are changed out and discarded for better fitting and quality. Places with loud public or private transportation, such as airports or seaports, often offer nearby homeowners a replacement package of thicker insulated windows to mitigate noise. Check with family and friends who may have an old window in their garage. Lumber should be purchased new so it will last but other materials such as metal struts, a door, lighting, and window fixtures may be found at the dump too. The first consideration for a greenhouse from old windows is location. Make sure you are on a fairly flat surface with full sun exposure. Excavate the area, rake it free of debris and lay weed barrier fabric. Lay out your windows so that they make 4 complete walls or plan a wood frame with inset windows. A greenhouse built with old windows can be completely glass but if there aren’t enough panes of the correct size, you can frame in with the wood. Attach the windows to the frame with hinges so you can open and close them for ventilation. Caulk the windows so they keep out winter cold. Making a greenhouse out of old windows is a fun project that will take your gardening to new heights.